Pipeliner CRM Account Hierarchy shows you how accounts are associated. A Parent Account would be the account under which fall other accounts, which in Pipeliner are called Children. The Hierarchy provides you with a visual org chart view of a whole customer company and its subsidiaries. Today it is extremely likely to have a scenario in which several accounts are related to each other. For example, XYZ Company might be owned by ABC Company, and in fact ABC company must ultimately approve large purchases being made by XYZ company. In Pipeliner, though, the 2 are entered as separate companies because, in fact, they are. The Parent Account feature enables you to assign a parent account to an existing account—in our example, you could assign ABC Company as a parent account to XYZ Company. This facility also allows you to assign multiple accounts under one account. The Parent Account is an account that is higher in the company's hierarchy—for example, its headquarters. All accounts that are associated with this parent account are then its children accounts. 3. Open an account you would like to associate to a Parent Account. 4. Scroll to the "Parent Account" field. It's a card with the account logo. 5. Start typing the account that should be its parent, and click on it in order to associate it with this account. 6. Here you can also create a related "Accounts Relation"—that is, a relation between a parent and this account. Tip: If you cannot see the Parent Account field on the account form you either do not have it associated with the account form, or you do not have an access to this feature of the Pipeliner version you are using. After you start using Pipeliner CRM's Accounts Hierarchies you can report the data in the system. 2. Click to Create a New Report. 3. Give it a name and select "Accounts". 4. Click on "Report Settings." 5. Click "Display columns" button "Choose". 6. Configure the report according to your preferences, and add "Parent Account" as a field to it. 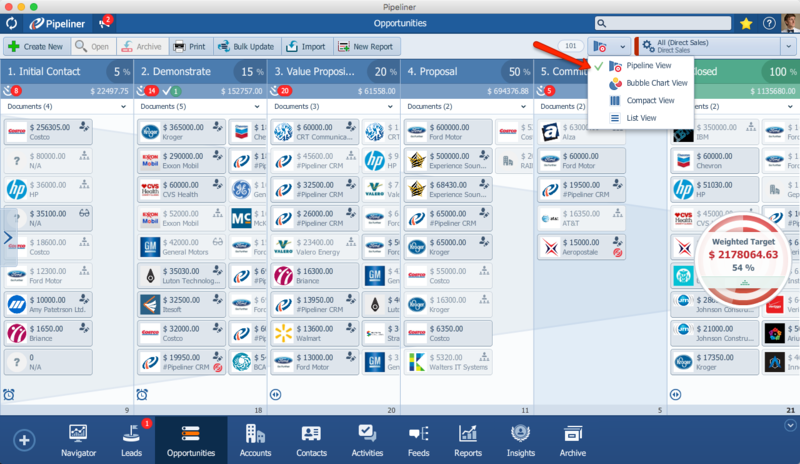 The most powerful part of Pipeliner CRM is the Pipeliner CRM Power Panel. Within the Power Panel you are able to add a "Parent Account" field to a filter condition and see all data related to the "Parent Account" in the hierarchy. Example: I would like to see all sales opportunities that are associated within one company consisting of an accounts hierarchy of 7 different accounts. 2. Select, for example, "Pipeline View". 3. Click on the Power Panel. 4. Click on the Filter. 5. Turn the Filter on. 6. Click "Add Field" (be sure you have activated "Custom" filter). 7. Search for "Parent Account." Check the box to add "Parent Account" to the filter conditions. 8. Select the Parent Account data you would like to show. Based on the filter settings, Pipeliner shows you all data relevant to the selected parent account and it's associated accounts in the accounts hierarchy. Do not forget to save these Power Panel settings in to the Profile for future usage (so you do not have to configure it again) in either the desktop or the native Pipeliner CRM Mobile App.